Antarctica is at the very top of our travel bucket list and as such we have done a LOT of research! 100 years ago no more than a handful of people had journeyed to Antarctica, however today it is slowly becoming a popular travel destination. Around 30,000 travelers visit Antarctica every year, however ecologists fear that the impact of tourism may be adversely impacting one of the most fragile environments on earth. As such, many international conventions have been put in place in order to protect the continent and its wildlife from such disturbance. Regardless of these conventions (which don’t really impact the average persons ability to travel), and eco concerns aside, Antarctica remains one of the most unique destinations on earth, and expeditions are available to the average person seeking an exceptional experience! 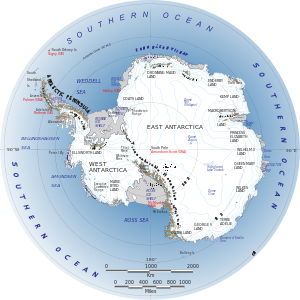 The majority of travelers head to the North Western most tip, known as the Antarctic Peninsular. You can only visit by traveling with an organized tour, which generally means booking a cruise. Cruises leave from Punta Arenas in Chile or Ushuaia in Argentina and set off for the South Shetland Islands, stopping at several research stations while sailing along the Antarctic Peninsular. Some Antarctic cruises, however, also include the Falkland Islands. A trip to Antarctica is a once in a lifetime voyage – as you make your way to the world’s most remote continent you see giant ice-bergs, phenomenally steep cliffs, ice shelves and stunning mountains. You have the opportunity to step out of your boat for hikes through ice fields, and close up encounters with rare wildlife who are not afraid of people. Wildlife is obviously one of the main draws for those traveling to Antarctica. Elephant seals, humpback whales, earless seals, leopard seals, orcas and baleen whales are easy to spot as soon as your cruise departs South America, and once you have arrived, you will witness the impressive Antarctic penguin colonies! Travelers commonly arrive in time to watch penguins begin their ‘mating and courtship process’, which I am assured is a not-to-be-missed spectacle! Read about what it’s like to step onto the Antarctic Peninsula. For a more detailed Antarctica map click here. As winter in Antarctica is severe and inhospitable, trips are only run during summer months between November and March. The best time to go is during December, January and February. Pros: Traveling to Antarctica is an incredible experience which the vast majority of travelers can not say they have done. The wildlife is impressive and rare. Cons: Your itinerary is dependent on ice and weather conditions. Travel Documents: You will require a Passport. Health Issues: You must travel with proper clothing to remain protected from the severe cold and wind. Language and Currency: English and Spanish are the primary languages spoken in Antarctica. The Argentine Peso, Chilean Peso and American Dollar are common currencies. Population: While there is no permanent population on the continent, international personnel are continually coming and going to complete their work at research stations. For an average trip consisting of a 10 day cruise you should expect to pay around $5,800 US or £ 3,700. You can, however, considerably cut down your costs by NOT booking your trip in advance. Last minute deals are readily available for those willing to show up in Ushuaia in November/December; you may need to be flexible with dates, however can potentially save a few thousand dollars. Pro Tip: Find the cheapest flights to your port city by downloading the free Skyscanner app. A great resource I used for information on Antarctica is Rudy Maxa’s “100 countries, 5000 ideas“. Have you been to Antarctica? Do you have anything to add? Perfect thanks Jonny – I’ll add that information into this guide :) Perhaps you would like to write a guest post for my blog? I’ll email you about it! Super jealous of your experience – I absolutely can’t wait to get to Antarctica :D! Wow – this is one of my life ambitions and top of the bucket list! How much did it cost you? It’s one of those expensive bucket list items. For a 10 day cruise you’re looking at around $6,000. Though if you look at rocking up in Argentina and booking a last minute cruise it can often save you thousands off your fare. I know expense is a huge issue for most people, but I’ve recently connected with a few people who managed to find work for 6-13 months. That’s the way to do it! You make money and theres no way to spend it! It’s next level ‘helpx’ or Woofing! Working on a cruise ship is a fantastic idea, and I’ve been toying with it for a while now but have just never managed to make it happen. I love the idea of combining earning money with a trip to a destination as isolated as Antarctica. Great tip – thanks Charlie! I hope you manage a trip soon! Antarctica is such a beautiful place! I was just there last January with G Adventures. It was expensive but well worth it! You will not be disappointed in any way. I have nothing but great things to say about G Adventures. The crew and staff were amazing and had experience and knowledge about everything you can think of about the continent. But while I was in Ushuaia I did see a lot of last min deals that can save you money. Just check all your options. I hope you can make it there someday whether pleasure or business. Good Luck! 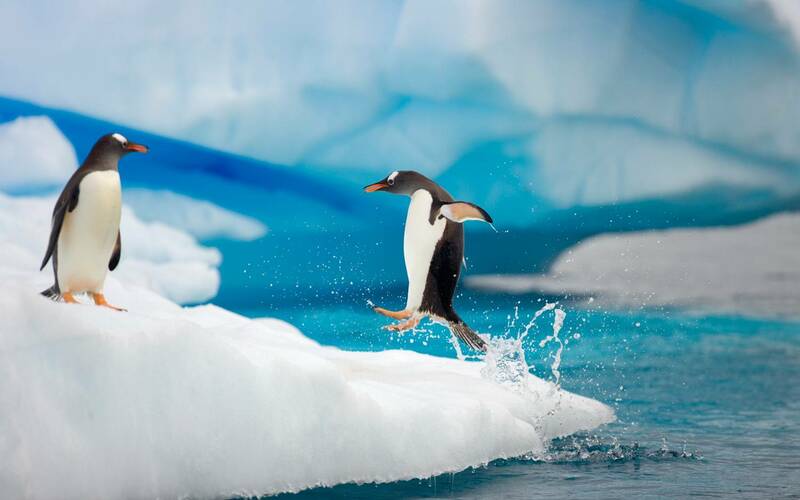 Also the picture above of the Gentoo Penguin jumping out of the water was taken by my cabin mate while I was there. And crazy small world re your cabin mate being the photographer – I seriously LOVE the photo, it’s easily the best I’ve found of Antarctica anywhere! On our list of places to go too… can’t wait. Let us know if you’re looking for any tips or further information once you choose a date :) Maybe we’ll bump into you there! Hello, I am from India, presently in Germany and by the time I save up some money for the trip I would be hopefully working here. My doubt is – are these trips also available for nationality’s other than US? I could reach Ushuaia and book last minute deals, but for that I need special Visa right? Hi Charu, so psyched to hear you’ll be heading to Antarctica – you’ll have a fabulous time :) Last minute deals are available for any nationality, you don’t need to be from the USA for these deals. Since no country owns Antarctica there are no visa requirements for travel here, however you will need to obviously check what kind of Visa requirements you need to travel to Argentina with an Indian passport. Hope that helps! Happy travels! Sounds good, glad we could help :) – enjoy your trip! Ughhhh, I want to go so bad. The elusive continent number 7. We’ll get there one day, its just so darn out of the way! Oh antarctica! The top photo with the penguins is absolutely beautiful! This has been on my list for so long…I would love to step on the ice and see the penguins from up close. Thanks for all the info! That’s my favorite photo – have it as my computer wallpaper! I hope you have the chance to visit Antarctica soon Mar – it’s definitely a place which someone like you would absolutely love! If I do rock up to Ushuaia, will there be a trip next week to Antarctica or something or do I need to be there in Ushuaia for like a month or so? To the girl who went to Antarctica via g adventures, do you have a blog or something for your Antarctica trip? I’d love to read it. Hi Ken – trips start running around now as the first cruises leave at the beginning of November. For actual timing though I would pull up the main cruise companies which leave Ushuaia online and check their departures, that will give you an idea of how many cruises run and when they leave. Beat time to go is during December, January and February, so if you do wait another month you’ll probably have a better chance of jumping on a last minute cruise because they’ll be leaving more frequently. Thank you for your great article telling deepest about Antarctica which is most travel destination today. It is clear how to make cruise and some stops will be made. Thank you very much for your travel information. Wow what an incredible resource of information. Is there a way to backpack our way in Antarctica? Hi Jo – glad you found the info here helpful. Honestly I don’t know about backpacking across Antarctica. I think the easiest and safest way is going to be going with a company who offers tours. British explorer Henry Worsley just attempted to be the first person to cross the Antarctic unaided and unfortunately he didn’t make it. So unless you have a lot of arctic experience I would recommend heading out with a commercial group. I hope that helps a little, you could always reach out to the big tour companies and ask if they have any insight on the backpacking question. Or perhaps reach out to volunteer organizations who operate down there too. Antarctica is the most beautiful and Fantastic land of Penguins -). I loved Penguins and want to see them in real atmosphere of Antarctica. I absolutely want to go, although I have heard that there are some serious environmental concerns of all these tourists going to Antarctica. If it causes long term damage to our planet, I really don’t want to be a part of that. It’s a very good point Ken – there’s a fine balance between appreciating the world and our tourism having negative effects on the environment. I’m always keenly on the watch for new environmental reports as they come out about Antarctica. Antarctica….that was never on my travel list. Looks a bit expensive to me, should research more about the last minute deals you mentioned. I really love your writing style! It’s a unique style to write with great info!Thanks a lot for sharing with us and keep it up dear! Thanks Maria :) Appreciate you stopping by! Happy travels. Awesome I like the way you write. Antartica is my dream destination.